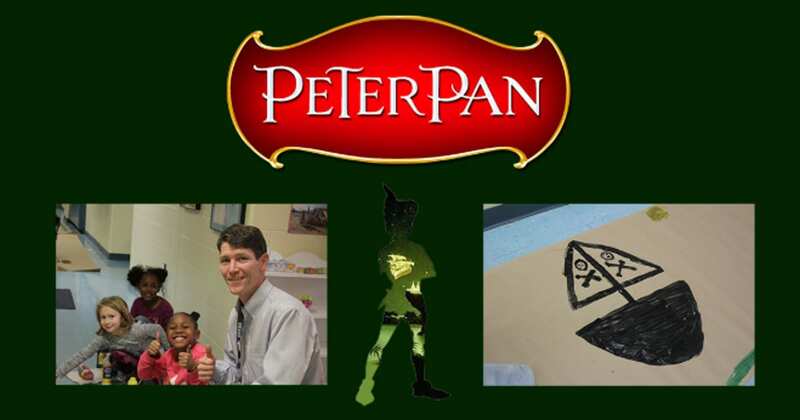 The Lower School Theater Club will present its first-ever play, Peter Pan, on Tuesday, February 19, at 6:30 p.m. in the Auditorium. Admission is free for all attendees. Peter Pan reaches the stage after five months of learning, fun, and preparation in the Lower School Theater Club, an after-school club that has met every Tuesday since September. Prekindergarten Teacher Jenny Torgerson developed the idea with Director of Summer/Auxiliary Programs Martha Cameron and former Drama Director and Theater Instructor Angela Wertner. Ms. Torgerson wrote the adaptation and is directing the MFS production; Third Grade Teacher Ted Quinn is the set and technical manager. Registration for the club quickly maxed out, and participants kicked off their roles in the production by meeting one on one with Ms. Torgerson. If students had a particular request, Ms. Torgerson attempted to work their ideas into the script. Students have also participated in several activities to learn about each stage of putting on a show. Students are currently putting finishing touches on the set and dress rehearsal is just around the corner. As the big day approaches, Ms. Torgerson mentions that audience members can expect the unexpected on the 19th.